Frank Foster composed and arranged much of the Count Basie Orchestra's material. This documentary looks at how a great artist can somehow be overlooked by the fame and fortune they richly deserve. Following Fos's career through his music and impact on others the film features appearances by Bill Cosby, Jimmy Heath, Benny Powell and Stanley Clarke. The Producer's seek sponsorship and distribution arrangements to get Frank's story out to a larger audience. 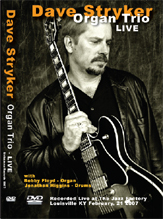 In this his first DVD, jazz guitarist Dave Stryker revisits his roots (working with Jack McDuff and Stanley Turrentine) in a swinging organ trio set captured live at The Jazz Factory in Louisville KY. Featuring Bobby Floyd on organ and Jonathan Higgins on drums, the groove is deep as the trio works it's way through blues, standards, a ballad and 2 originals. Voted a Rising Star in Downbeat the last several years, you can see and hear why Gary Giddins in the Village Voice calls Dave "one of the most distinctive guitarists to come along in recent years." Earl May's death this past January was a shock to everyone that knew him. A loving, caring giver with boundless energy, and a thoughtful, talented musician, a dear friend that seemed to live to be happy and make all around him happy. Jazz Legacy Films produced a photographic retropsect using an intimate collection of archival photos from Earl's family's collection. 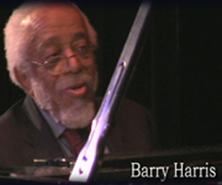 Projected at the St. Peter's Church in Manhattan while his friend Barry Harris performed during the tribute to Earl May, February 2008. On alto, soprano and the flute, TK Blue has been blowing his heart out on stage and on recordings with nearly every major influence in contemporary Jazz. In an exclusive interview TK explores his influences and shares his broad experiences as a musician who sees himself as both teacher and student. TK tells his story, illustrated with archival photographs from his own collection and concert footage from a lifetime of making music. Includes bonus features of live performances with legendary Jazz Masters Randy Weston, Benny Powell, Bobby McFerrin. A unique life has created a unique character. Benny Powell went on the road at the age of 16 and never looked back. A short time later he was touring with Lionel Hampton's Big Band and would eventually serve a 12 year stint with the great Count Basie. In his storied career Mr. Powell has played 3 Presidential inaugral balls (Truman, w/ Hampton Eisenhower and Kennedy w/Basie). Benny's personal challenges and triumphs have instilled a strong grounding in faith in the creative spirit to overcome. 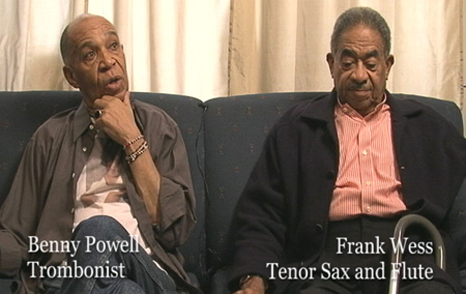 For over 50 years Benny has lived in the same apartment building as close friend and Count Basie band mate Frank Wess. The Film is musical documentary tracing Benny's life through interviews, archival resources and contemporary footage of this Jazz Master in his still very active rolls as a performer, producer and educator. Featuring original compositions from Benny and his collaborators, TK Blue and Sayuri Goto. Jazz Legacy Productions has been working with the group on the record since it's inception. A series of videos are in development to promote the project and will be available for purchase at the time of the release of the recording. 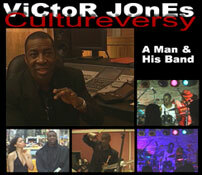 Victor demonstrates he's not just one of the best Jazz and R&B drummers in the world. 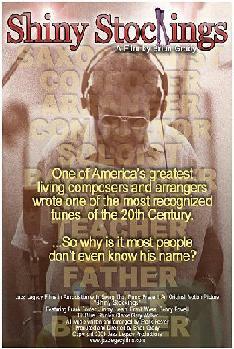 He's also a formidable bandleader and creator of a unique groove, on stage and off. Live at the Dancing Goat.